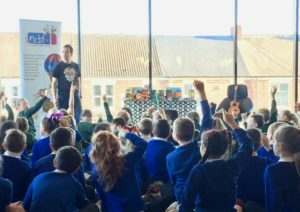 This year’s Northern Children’s Book Festival was another fantastic success. 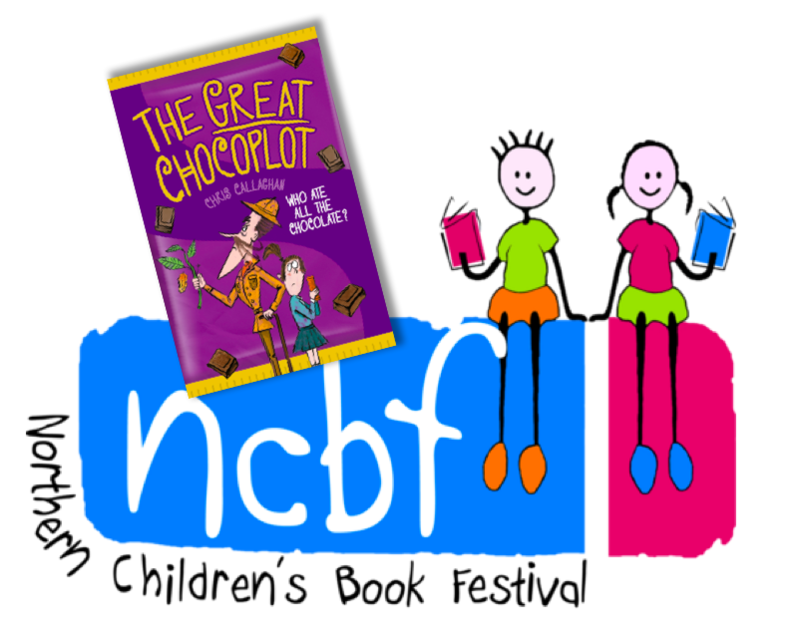 For those not familiar with it, the Festival spreads itself over a huge area of the North of England (the clue is in the title! ), where libraries, schools, churches and all manner of venues become part of the celebrations over a two-week period. 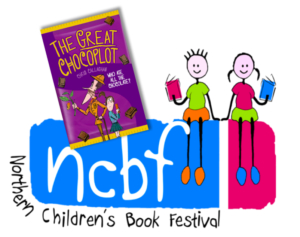 What I think makes this festival so special, is that it allows children, who don’t normally get opportunities to attend book and author events, the chance to take part. There is a particular drive within the organisation to include schools from ‘areas of deprivation’. Having grown up in such an area and being one of those ‘free school meal’ pupils myself, I know that these classifications are quite misleading to some. In my experience, these are areas full of community spirit, resilience, passion and joy. People here can work extremely hard, for long hours, but for little money. These children are still children, with the same hopes and dreams, but with limited funds they do not have the same access or opportunities to that of children from more well-off families. I never ever saw an author at my school, or went to a book festival or book event when I was a child – so to be a part of this, as an author and reader, was an amazing experience for me. 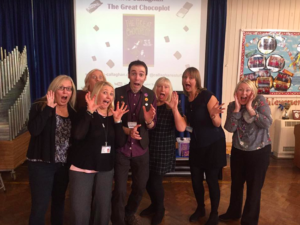 Seeing excited smiles and getting so many enthusiastic high-fives and fist-bumps from pupils at my events was a pure joy – and I can’t deny made me feel quite rockstar-ish for a while too! I am hugely grateful to the schools that invited me along and made me so welcome. I also got to see the real connections that our wonderful librarians have with these schools. Their work goes on well beyond the scope of the festival and their unshakeable enthusiasm is pleasure to witness. 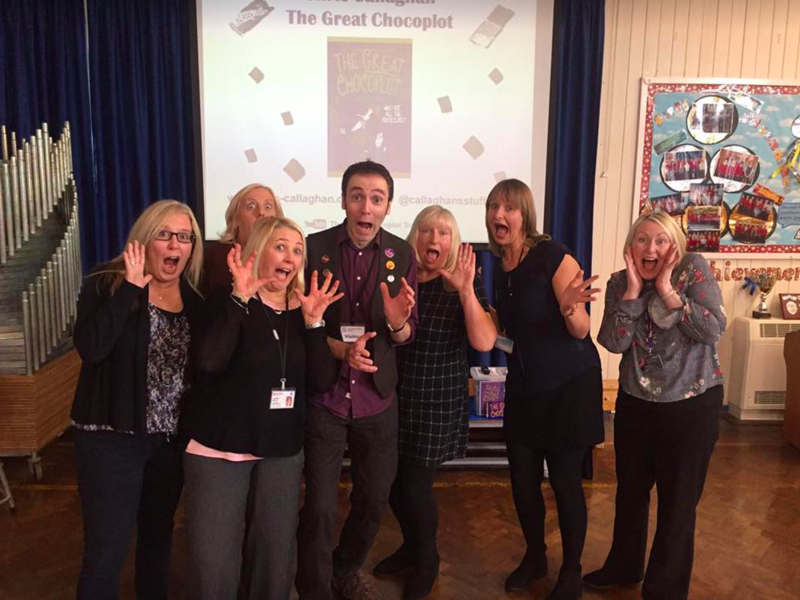 Massive thanks to all at Gateshead and North Tyneside Libraries for looking after me so well! It was also an opportunity for me to meet some booky heroes too – like one of my family’s bedtime reading superstars: Julia Jarman. Julia was even more lovely than I’d hoped. My friend (I’m calling him my friend now, whether he likes it or not!) 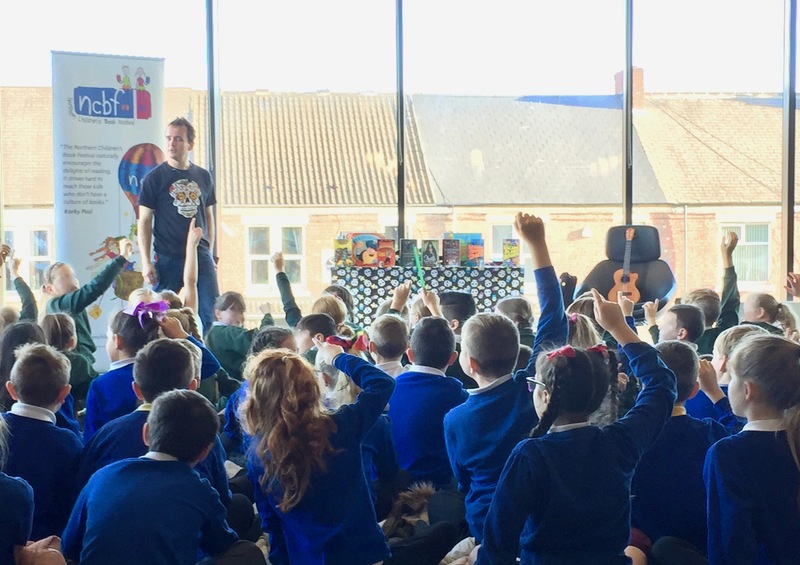 Gareth P Jones entertained a packed library with songs and stories, and leaving the children reading his books on the journey back to school. Dan Smith wowed us on Gala Day with tales of adventure, murder and Star Wars. I can’t wait to read his new book, it’s an Antarctic adventure called Below Zero and sounds super cool (sorry about that!). We even managed to get one of our favourite Winnie the Witch books signed by the brilliant Korky Paul, himself! That doesn’t even skim the surface – there was so much going on! This festival itself isn’t geared purely towards book sales, admission costs or other tangible income, and as a result, it’s success is not directly quantifiable. Unfortunately, this may be a problem for its continuation. Instead, it’s success is measured by children’s excitement, by the stories they will start reading as a result of meeting an author, by the stories they will share with their families and friends, and by the stories that will rattle around inside their heads – encouraging a new generation of readers and writers. THAT is why this festival is so special. Thank you to the supremely committed organisers, the librarians, volunteers, teaching staff, authors, the school library services, local booksellers and most of all, the children, who made this such an incredible event. Good luck for 2018! Thank you to everyone who made me feel so welcome.